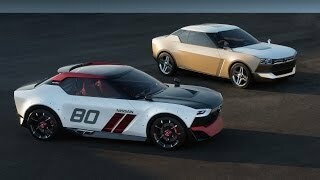 Nissan has unveiled a unique concept, the IDx Nismo Concept at the 2014 North American International Auto Show. 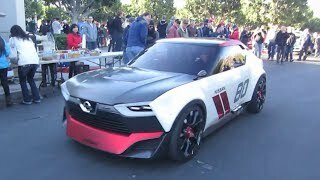 The IDx Nismo Concept shows how Nissan is using new and innovative product development methods to meet the needs of younger customers. 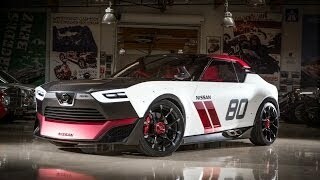 The IDx NISMO is an ultra-sporty model of the future that looks as if it came directly from a driving simulator. 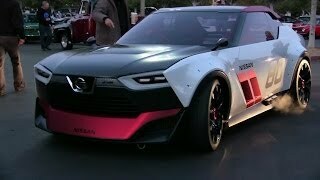 The 5.9-foot width of the IDx NISMO is testament to its low, wide stance that emphasizes its sporty proportions. The frontal design elements are made of carbon panels. Side mufflers provide a pleasing exhaust note. The car has front/rear and right/left aerodynamic spoilers and a lightweight 19-inch wheel package. The IDx NISMO interior reveals racing-inspired crimson Alcantara® seat covers, complemented by Spartan-looking meters and gauges. The lustrous metal surfaces contrast with the bright red suede trim that is augmented by blue stitching. 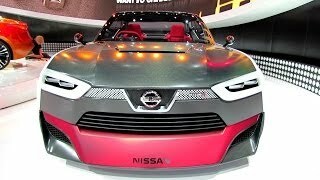 Nissan engineers have proposed for a high-performance, eco-friendly 1.6-liter direct-injection turbocharged engine, together with a sporty CVT with 6-speed manual shift mode and synchronized rev control.